I am not so experienced in USB connections and protocols. What I would like to know is how to build a USB host for my arduino Uno( which is made on a breadboard) so I can connect it with a USB cable to a PC? I use an ATMEGA328p. What other things should I must be aware of? Add one of these, MIKROE-483, to have same functionality as an UNO. Connect +5, Gnd, DTR thru a 100nF cap to uC reset pin, Tx to Rx, Rx to Tx. Here's one I used on a board. If you want to be a Host, that is able to control USB thumb drives or similar, that's a whole different ball game. I was wondering when I connect this arduino uno with the USB. Does each PC recognise the drivers of it? I am using a MIKROE-483 USB UART connected to arduino Uno. Also I have connected an Adafruit microsd card shield with a micro sd card. I try to run the CArdInfo example to the arduino and the serial monitor doesn't show anything. Could you please tell me why! Is it a problem to use the MIKROE-483 USB UART as a programmer to arduino? Why do you have a MIKROE483 when the Uno already has a USB/Serial chip on it? 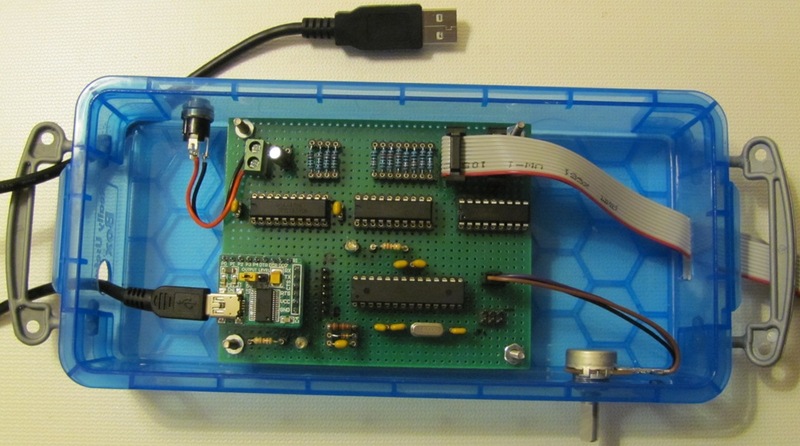 (the ATmega16U2). You can use the MIKROE483 connected to the Uno's Rx/Tx/DTR pins if you connect Reset on the 16U2 6-pin header to Gnd to kick it off the Rx/Tx pins. May need a 0.1u cap from MIKROE-483 to Uno Reset pin for software controlled reset during programming. Be sure to connect Gnd to Gnd; and 5V to 5V if powering the Uno via the MIKROE483 USB connection.